Thank you to Mayor Neil McNeillis for coming to Dangan and cutting the pink ribbon to start off the campaign! 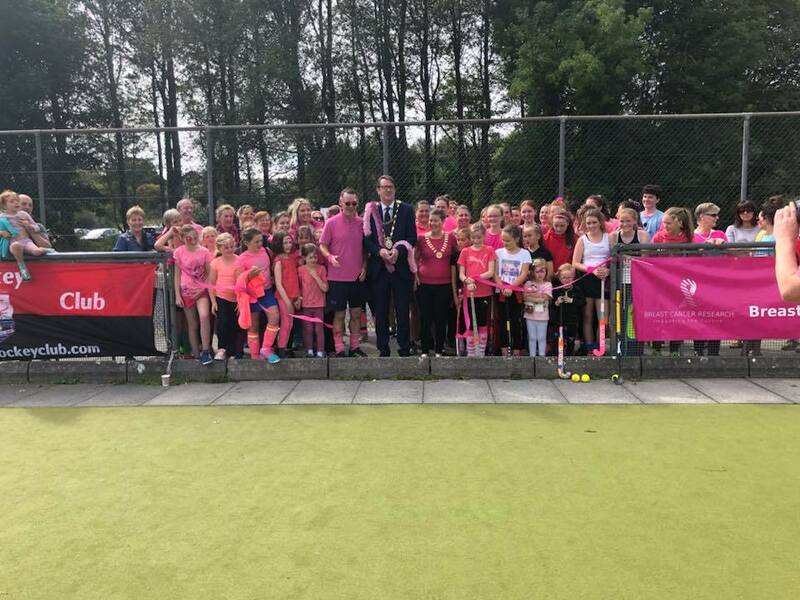 Additionally to Patricia McLoughlin from Breast Cancer Research, and Aisling Keogh, President of the Connacht Hockey Branch, for attending the event and showing support for such a wonderful cause. Hockey in Pink! was a great success! It was a charity day organised by Ann Dempsey, Dermot Nolan, Meriel Fitzsimons, and Nicola van der Walt. Members of the club from all age groups attended and took part in a variety of games and drills.